WARNING: Some of the photographs that follow contain extremely graphic content. 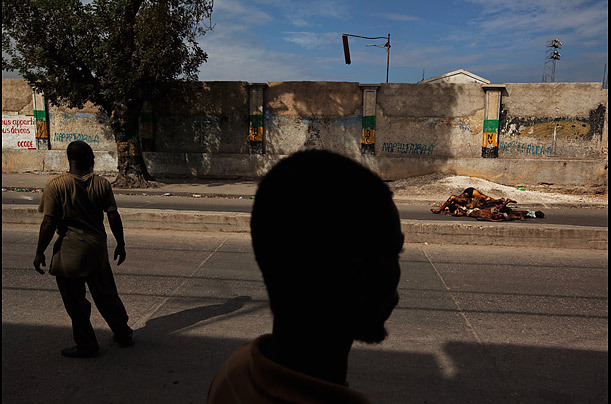 To witness the aftermath of the earthquake in Haiti is to be lost inside a waking nightmare. Unclaimed dead lie on streets outside the wall of the main cemetery.